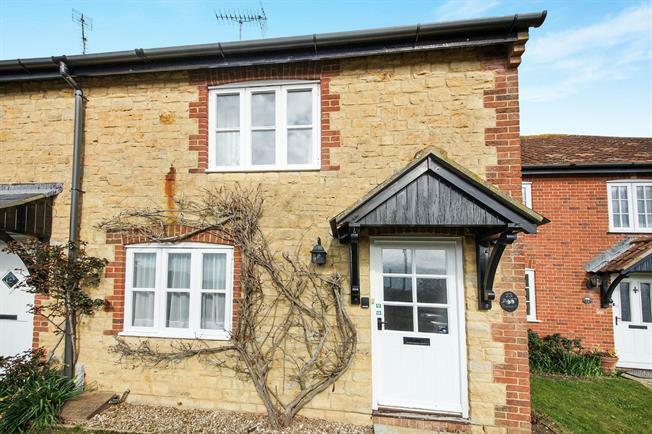 2 Bedroom Terraced House For Sale in Bridport for Guide Price £290,000. The accommodation consists of: an entrance hall, a spacious and naturally light sitting room with a feature gas fire place, a spacious kitchen diner with wall and base units, a rear entrance hall to the garden and a downstairs cloakroom. Upstairs there are two bedrooms, both of which are double in size and feature integrated storage. The master bedroom benefits from stunning views to the front. There is also a shower room, however a bath tub could easily be added depending on preference. The accommodation consists of an entrance hall, a spacious and naturally light sitting room with a feature gas fire place, a spacious kitchen diner with wall and base units, kitchen, a rear entrance hall to the garden and a downstairs cloakroom. Upstairs there are two bedrooms, both of which are double in size and feature integrated storage. The master bedroom benefits from stunning views to the front. There is also a shower room, however a bath tub could easily be added depending on preference. To the front of the property there is a shared pathway leading to the front door. The garden to the property primarily is to the rear and features separate patio areas but predominantly the garden has been laid to lawn. There is a garage featuring an electric up and over door and off road parking in front of the garage.